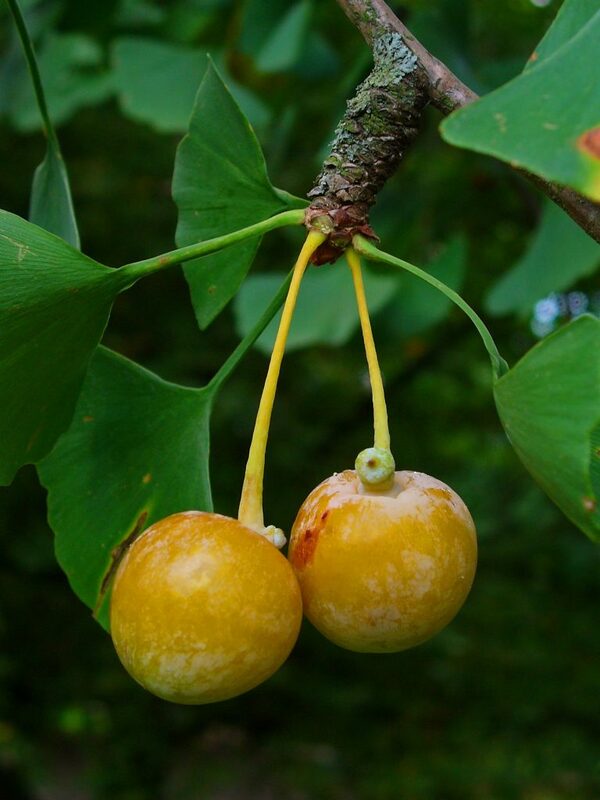 Ginkgo biloba is a tree to 24 m tall, bark gray-brown, deeply fissured and ridged, branches stout. Leaves alternate, fan-shaped, to 7 cm long and about as wide, notched and irregularly blunt-toothed along broadly curved top, base wedge-shaped, veins conspicuously parallel, in clusters of 3-5 on older short shoots or singly along elongate new stems, turning clear bright yellow in autumn. Flowers none. A Gymnosperm, producing seeds but not true flowers. Male and female reproductive structures on short shoots of different plants (dioecious). Pollen produced on green catkins of male trees. Fruit none. Ovules covered by fruit-like fleshy coat in pairs, rounded, 4 cm diameter, becoming pale tan-orange, flesh with a strong rancid odor (butyric acid), (Raven et al. 1986; Dirr 1990). Falling from tree early autumn and into winter. Seeds apparently edible if cooked. Flesh, however, is supposedly very irritating. Frequency in New York City: Infrequent in natural areas. Common as a street or horticultural tree in parks. 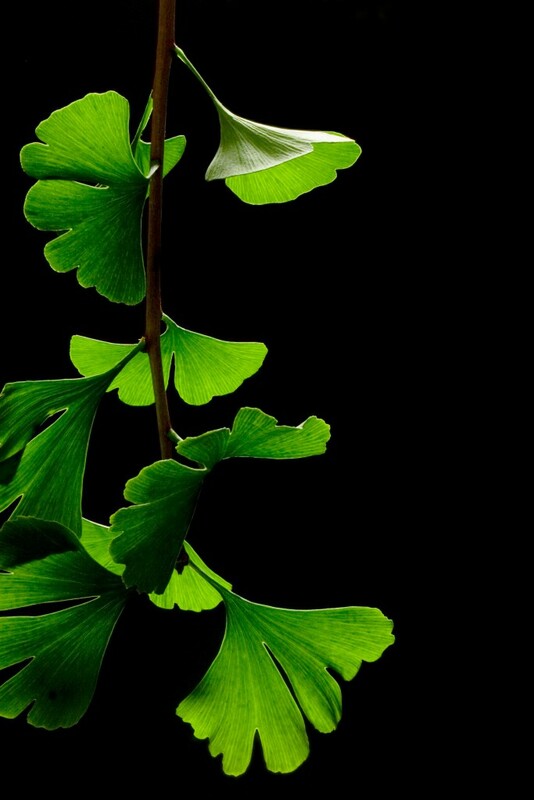 Habitat: Not known to escape except very locally, small seedling have been found in Central Park and in a Ginkgo grove in Prospect Park. Intolerant of shade. Tolerates air pollution well (Hightshoe 1988). Notes: Leaves are sometimes used as a medicinal.